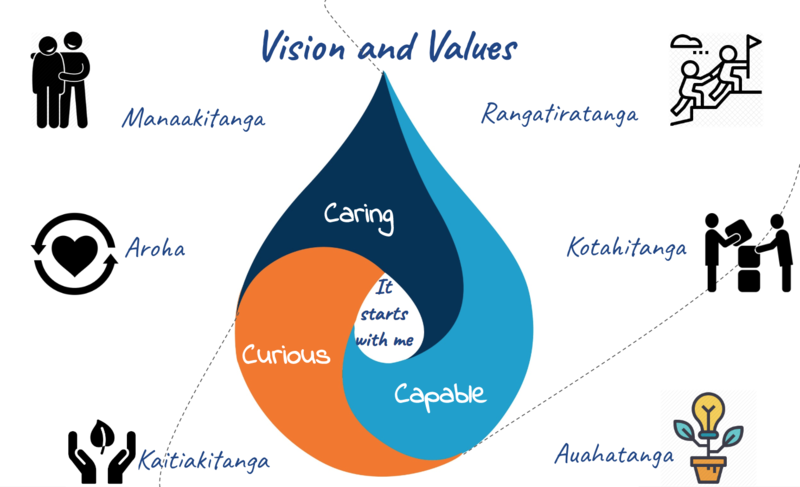 Our values, along with the vision, will underpin all decisions and guide the direction of the school. We have simplified our vision to be memorable to the students and functional in the day to day life of the school. Caring, Curious, Capable will be our mantra in all that we do. Children are at the heart of Ararira Springs Primary and we believe learning should start with the child in mind. Knowledge of the learner is pivotal in making the best decisions for a child’s learning pathway. ‘It starts with me’, reflects this and also our belief that all learners need to be active and responsible. Learning needs to start with the child but in order to enhance the world, learners need to step up and know that they have a part to play in the process. We will endeavour to develop caring, curious and capable akonga so that they can enhance the world they live in.